"Biological reserve" redirects here. For the use of the term specific to Brazil, see Biological reserve (Brazil). "Forest reserve" and "Forest Preserve" redirect here. For other uses, see Forest reserve (disambiguation) and Forest Preserve (disambiguation). Charles Waterton established the first nature reserve in 1821. Cultural practices that roughly equate to the establishment and maintenance of reserved areas for animals date back to antiquity, with King Devanampiya Tissa of Anuradhapura establishing one of the world's earliest wildlife sanctuaries in the 3rd century BC. Early reservations often had a religious underpinning, such as the 'evil forest' areas of West Africa which were forbidden to humans, who were threatened with spiritual attack if they went there. Sacred areas taboo from human entry to fishing and hunting are known by many ancient cultures worldwide. The world's first modern nature reserve was established in 1821 by the naturalist and explorer Charles Waterton around his estate in Walton Hall, West Yorkshire. He spent £9000 on the construction of a 3 mile long, 9 ft tall wall to enclose his park from poachers. He tried to encourage birdlife by planting trees and hollowing out trunks for owls to nest in. He also invented artificial nest boxes to house starlings, jackdaws and sand martins and unsuccessfully attempted to introduce little owls from Italy. Waterton allowed local people access to his reserve and was described by David Attenborough as “one of the first people anywhere to recognise not only that the natural world was of great importance but that it needed protection as humanity made more and more demands on it”. Drachenfels (Siebengebirge) was protected as the first state-designated nature reserve in modern-day Germany; the site was bought by the Prussian State in 1836 to protect it from further quarrying. The first major nature reserve was Yellowstone National Park in Wyoming, United States, followed by the Royal National Park near Sydney, Australia and the Barguzin Nature Reserve of Imperial Russia, the first of zapovedniks set up by a federal government entirely for the scientific study of nature. In Australia, a nature reserve is the title of a type of protected area used in the jurisdictions of the Australian Capital Territory, New South Wales, Tasmania and Western Australia. The term “nature reserve” is defined in the relevant statutes used in those states and territories rather than by a single national statute. As of 2016, 1767 out of a total of 11044 protected areas listed within the Australian National Reserve System used the term “nature reserve" in their names. 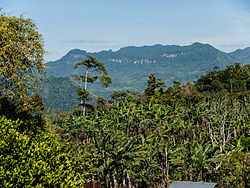 In Brazil, nature reserves are classified as ecological stations (Portuguese: )estações ecológicas) or biological reserves (Portuguese: reservas biológicas) by the National System of Conservation Units. Their main objectives are preserving fauna and flora and other natural attributes, excluding direct human interference. Visits are allowed only with permission, and only for educational or scientific purposes. Changes to the ecosystems in both types of reserve are allowed to restore and preserve the natural balance, biological diversity and natural ecological processes. Ecological stations are also allowed to change the environment within strictly defined limits (e.g. affecting no more than 3% of the area or 1,500 hectares (3,700 acres), whichever is less) for the purpose of scientific research. A wildlife reserve in Brazil is also protected, and hunting is not allowed, but products and by-products from research may be sold. There are 30 nature reserves in Egypt which cover 12% of Egyptian land. Those nature reserves were built according to the laws no. 102/1983 and 4/1994 for protection of the Egyptian nature reserve. Egypt announced a plan from to build 40 nature reserves from 1997 to 2017, to help protect the natural resources and the culture and history of those areas. The largest nature reserve in Egypt is Gebel Elba (35,600 square kilometres (13,700 sq mi)) in the southeast, on the Red Sea coast. A bridged stone river in Bistrishko Branishte, an early Bulgarian nature reserve established in 1934. Denmark has three national parks and several nature reserves, some of them inside the national park areas. The largest single reserve is Hanstholm Nature Reserve, which covers 40 km2 (9,900 acres) and is part of Thy National Park. In Sweden, there are 29 national parks. The first of them was established in 1909. In fact, Sweden was the first European country that established 9 national parks. There are almost 4,000 nature reserves in Sweden. They comprise about 85% of the surface that is protected by the Swedish Environmental Code. In Estonia, there are 5 national parks, more than 100 nature reserves, and around 130 landscape protection areas. The largest nature reserve in Estonia is Alam-Pedja Nature Reserve, which covers 342 km2 (85,000 acres). As of 2017, France counts 10 national parks, around 50 regional parks and 8 marine parks. In 1995 Germany had 5,314 nature reserves (German: Naturschutzgebiete) covering 6,845 km2 (2,643 sq mi), the largest total areas being in Bavaria with 1,416 km2 (547 sq mi) and Lower Saxony with 1,275 km2 (492 sq mi). In Hungary, there are 10 National Parks, more than 15 nature reserves and more than 250 protected areas. Hortobágy National Park is the largest continuous natural grassland in Europe and the oldest national park in Hungary. It is situated on the eastern part of Hungary, on the plain of the Alföld. It was established in 1972. There are alkaline grasslands interrupted by marshes. They have a sizable importance because there are the fishponds. One of the most spectacular sights of the park is the autumn migration of cranes. Some famous Hungarian animal species live in Hortobágy National Park, such as the grey cattle, racka long-wool sheep living only in Hungary, Hungarian horses and buffalo. Hortobágy National Park has been a UNESCO World Heritage Site since 1 December 1999. As of 2011, Poland has 1469 nature reserves. Nature reserves are one of the 11 types of protected areas in Portugal. As of 2012, Portugal had a total of 46 protected areas, which represented 6,807.89 km2 (2,628.54 sq mi) of land and 463.94 km2 (179.13 sq mi) of marine surfaces. Among the protected areas, nine are classified as nature reserve (Portuguese: reserva natural). About 5.18% of the area of Romania has a protected status (12,360 km²), including the Danube Delta, which makes up half of this area (2.43% of Romania's total area). There are some differences between the regulations for England, Northern Ireland, Scotland and Wales, which are separately managed. At the end of March 2004, there were 215 national nature reserves in England with a total area of 879 square kilometers. The reserves are scattered through England, from Lindisfarne in Northumberland to The Lizard in Cornwall. Nearly every rural county has at least one. Many national nature reserves contain nationally important populations of rare flowers, ferns and mosses, butterflies and other insects, and nesting and wintering birds. Examples include unique alpine plants at Upper Teesdale and the field of snake's head fritillaries at North Meadow, Cricklade, Wiltshire. There are now over 1,050 local nature reserves in England. They range from windswept coastal headlands, ancient woodlands and flower-rich meadows to former inner-city railways, long-abandoned landfill sites and industrial areas now re-colonized by wildlife. In total, they cover almost 40,000 ha—an impressive natural resource which makes an important contribution to England's biodiversity. A good example is Rye Harbour Nature Reserve in East Sussex, where a network of footpaths enables visitors to explore shingle, saltmarsh, saline lagoon, reedbed, and grazing marsh habitats. Through the Natural Heritage (Scotland) Act 1991 the Scottish Natural Heritage (SNH) was established in 1992 as a government body, responsible to the Scottish Government Ministers and through them to the Scottish Parliament. At 31 March 2008, there were 65 Scottish national nature reserves with a total area of approximately 1330 square kilometres. Section 21 of the National Parks and Access to the Countryside Act 1949 gives local authorities the exclusive statutory power to establish a local nature reserve in consultation with the SNH. Israel's National parks of Israel are declared historic sites or nature reserves, which are mostly operated and maintained by the National Nature and Parks Authority. As of 2019, Israel maintains more than 490 nature reserves that protect 2,500 species of indigenous wild plants, 20 species of fish, 400 species of birds and 70 species of mammals. Total, they cover (6,400 square kilometres (2,500 sq mi)) of nature reserves, approximately 28% of Israel land " In 1984, the two areas with the highest number of nature reserves were the South (15.2%) and Samaria (the Shomron, 13.5%). Under the Nature Conservation Law, places can be designated as 'wilderness areas', 'nature conservation areas' and 'prefectural nature conservation areas'. In 1995, when the Japanese Government published its information in English, there were 5 wildernesses, 10 nature conservation areas and 516 prefectural nature conservation areas. There are seven nature reserves in Jordan. In 1966 the organization that would later start Jordan's nature reserves, the Royal Society for the Conservation of Nature, was founded. RSCN's first efforts involved bringing back severely endangered species. In 1973, RSCN was given the right to issue hunting licenses, giving RSCN an upper hand in preventing extinction. The first step was the founding of Jordan's first nature reserve, Shaumari Wildlife Reserve, in 1975. The primary purpose was to create means to breed endangered species, specifically: the Arabian oryx, gazelles, ostriches, and Persian onagers in their natural environment. By the end of 2009 there were 10 nature reserves (Kyrgyz: корук, koruk) in Kyrgyzstan covering 600,000 hectares (6,000 km2) or about 3% of the total area of the country. New Zealand has a variety of types of reserve, including National Parks, various types of Conservation Areas (including stewardship land that is yet to be officially classified), and seven specific types of "Reserve", each of which prioritize various degrees of protection to different amenities such as scenery, recreation, flora and fauna, scientific value or history. Land is often sub-categorised beneath its general classification, as defined in law between the Reserves Act of 1977, the National Parks Act of 1980, and the Conservation Act of 1987. Under these classifications, the Department of Conservation administers more than 80,000 km2---nearly 30 percent of the nation's total area---with at least some degree of protection. This land is composed of 14 National Parks, 30 Conservation Parks, and approximately 8,900 discrete areas of land in total. Although the most public land is strongly protected for natural preservation, the term nature reserve is specifically defined in the Reserves Act to mean a reserve that prioritizes the protection of rare flora and fauna, to the extent that public access is by permit only. Some of these reserves include Ecological Islands, a comparatively new concept in wildlife preservation, pioneered in New Zealand to help re-build the populations of nearly extinct birds, and other species that are heavily threatened by introduced predators. In Nicaragua, the Ministry of the Environment and Natural Resources (MARENA) is in charge of environmental protection and of the study, planning, and management of Nicaragua's natural resources. Nearly one-fifth of the territory is designated as protected areas like national parks, nature reserves (including the Bosawás Biosphere Reserve), and biological reserves. Nicaragua has 78 protected areas that cover 22,422 km2, about 17.3% of the nation's landmass. Private nature reserves exist with land excluded from private land trusts and maintained at the sole cost of the proprietor. For example, "O Parks, WildLife, and Recreation" was established within the Mesoamerican Biological Corridor by former FDNY firefighter Kevin Michael Shea, who purchased 46 acres (0.19 km2) of land in this manner and is an example of this type of private nature reserve. There are around 100 nature reserves (Russian: заповедник, zapovednik) in Russia, covering some 330,000 square kilometres (130,000 sq mi), or about 1.4% of the country's total area. A few of them predate the October Revolution of 1917, but most have been created during the Soviet Union era. There are also natural protected areas where only certain species are protected, or only certain activities are prohibited; those are known as zakaznik (Russian: заказник). South Africa is well known for its many reserves. The oldest nature reserve in the country (and oldest conservation area in the world) is the Groenkloof Nature Reserve that was established in 1892 in the capital city Pretoria in the old South African Republic and current Republic of South Africa. The country has many national parks but the best-known is the Kruger National Park, which was (proclaimed in 1898), and is the largest, at nearly 2,000,000 hectares (20,000 km2). The Kruger Park and Table Mountain National Park are two of South Africa's most visited tourist attractions. South Africa also has a number of World Heritage Sites and provincial nature reserves including Shamwari, Londolozi, Sanbona and Lalibela. The country currently has 20 national parks covering 3,700,000 hectares (37,000 km2), about 3% of the total area of South Africa. The Swiss National Park, created in 1914, was one of the earliest national parks in Europe. In addition to the Swiss National Park, Switzerland also has sixteen regional nature parks. The environmental organization Pro Natura takes care of about 650 nature reserves of various sizes throughout Switzerland (250 square kilometers). There are 4 biosphere reserves (two of them are dated 1927 and 1874) and 17 nature reserves in Ukraine, covering 160,000 hectares. Ukraine administers 40 national parks, 2632 habitat management areas, 3025 nature monuments, and 1430 other preservations. In the United States the United States Fish and Wildlife Service is responsible for managing many nature reserves, including National Wildlife Refuges. State and local governments administer others, and some belong to private trusts, which are funded through personal donations. There are currently 2,205 preservations in the United States. Private nature reserves exist with land excluded from private land trusts and maintained at the sole cost of the proprietor. Wilbur Hot Springs' Dr. Richard Louis Miller donated 1,800 acres (7.3 km2) of land in this manner and is an example of this type of private nature reserve. ^ "Sri Lanka Wildlife Conservation Society (SLWCS)". Retrieved 27 October 2011. ^ "Walton Hall history". Archived from the original on 20 August 2010. Retrieved 17 December 2012. ^ "Charles Waterton (1782–1865)". Archived from the original on 17 December 2013. Retrieved 29 June 2014. ^ Wakefield Express (23 February 2013). "Sir David Attenborough will open city centre's new museum". Retrieved 24 August 2014. ^ Weiner, Douglas R. (1988). Models Of Nature: Ecology, Conservation, and Cultural Revolution in Soviet Russia. University of Pittsburgh Press. p. 29. ISBN 978-0-8229-5733-1. ^ "Terrestrial Protected Areas in Australia by Type (2014)". CAPAD 2014. Australian Government - Department of the Environment. 2014. Retrieved 15 September 2015. ^ Dariusz Bochenek (ed.). "Ochrona środowiska 2012" (PDF). Warszawa: Główny Urząd Statystyczny. p. 277. ISSN 0867-3217. Retrieved 29 December 2012. ^ "Ambiente:áreas protegidas". Retrieved 1 November 2016. ^ "Scottish National Heritage (SNH)". Retrieved 27 October 2011. ^ Hareuveni, Imanuel (1985). קום התהלך בארץ: מדריך שמורות טבע בישראל [Nature Reserves in Israel] (in Hebrew) (2nd ed.). Israel: Israel Ministry of Defense. p. 482. ISBN 965-05-0193-2. חוק גנים לאומיים ושמורות טבע תשכ"ג – 1963. 'שמורת טבע' – שטח שבו נשמרים חי, צומח, קרקע, מערות או מים, שיש בהם ענין של מדע או של חנוך, מפני שינויים בלתי רצויים במראם, בהרכבם הביאולוגי או במהלך התפתחותם, וששר הפנים, לפי הצעת שר החקלאות או לאחר התיעצות אתו, הכריז עליו ברשומות שהוא שמורת טבע. ^ "Nature Conservation in Japan". Ministry of the Environment, Government of Japan. 31 March 1995. Retrieved 24 September 2012. 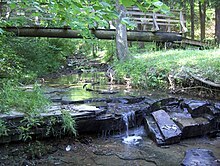 ^ "O Parks, WildLife, and Recreation". Retrieved 17 October 2014. ^ Overview of the Swiss parks, Federal Office for the Environment (page visited on 27 July 2016).